On September 10, 2017, Israeli Prime Minister Benjamin Netanyahu boarded a plane at Tel Aviv’s Ben Gurion Airport to embark on a 10-day tour that no other Israeli Prime Minister had ever taken. Flying through the night, he arrived the next day in Buenos Aires, Argentina, becoming the first Israeli PM to put his feet on Latin American soil. After spending time in Buenos Aires, home to Latin America’s largest Jewish population of over 300,000, he then flew to Columbia and finally on to Mexico. Ever since the November 29, 1947, United Nations Resolution 181 vote to partition Palestine for a Jewish homeland, Latin America has been a strong ally for the Jewish State. Making up nearly 40% of the “for” votes on Resolution 181, 13 Latin American countries strongly stood with the creation of a Jewish homeland in historic Palestine. Netanyahu’s visit yielded new bilateral agreements between Israel and the countries he visited, as well as deepened trade relationships. But the history of the Jewish people in Latin America began long before 1947. Just before the dreadful Spanish Inquisition, which made Judaism illegal in the Spanish peninsula in 1492, 90% of the world Jewish population was Sephardic (Iberian peninsula descent). 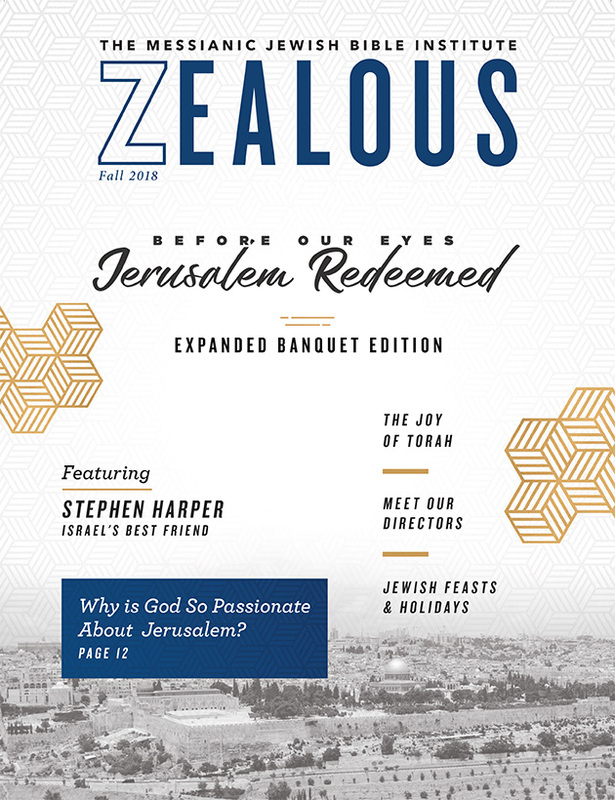 As you will read in our article on the Museum of the Inquisition in this issue of Zealous, many Jewish people fled to Latin America (Central and South America) to escape Catholic persecution. Over the centuries, many of these Jews secretly kept their Jewish identity, even though they were forced to convert to Catholicism. Eventually, the religious persecution subsided and many Jewish communities were allowed to flourish all over Latin America. After the founding of the State of Israel in 1948, and once again after the miraculous Six Day War in 1967, a wave of Jewish pride began to sweep across the world. Jews who had previously been living in relative secrecy began to identify with the triumphant Jewish State and started to once again explore the roots of their Jewishness. With the advent of modern technology, this movement of rediscovery struck an even more fervent and fruitful pace. Millions of Latin Americans were finally able to access deportation records, Catholic conversion documents, and ancestry documentation that proved their Jewish lineage. Today, it is said that every one of the 15 million Jews living in normative Jewish communities have a Spanish ancestor. Equally as miraculous, nearly 100 million Latin Americans can safely prove their own Jewish ancestry! On top of all this, the 500,000 recognized Jews living in Latin America comprise some of the fastest growing Jewish communities in the world. In Panama alone the Jewish community has grown by over 70% since 2003. In Argentina, Chile and Columbia, the Jewish communities are growing at rapid paces as well, and only 10% of Jews polled in a recent survey feel that living as a Jew in Latin America is risky. Israel benefits greatly from this wave of rediscovered Jewish identity. In 2016, over 200,000 tourists from Latin America visited Israel. Tourism to Israel is growing so much, in fact, that LATAM Airlines just announced South America’s first non-stop air service to Israel in 2018 from Chile and Brazil. As much as I celebrate all of these wonderful movements to stand with, support and bless Israel and the Jewish people, there’s one major problem that I have discovered. With over 100 million people of Jewish descent, and over 400 million Spanish-speaking Christians in Latin America, there are very few credible, Biblical resources on Israel and the Jewish people. Though there are many fine Messianic congregations all over Latin America, very little educational resources exist to train both the Christian and Messianic Jew on the Jewish roots of their faith, or on effective Jewish ministry. Recognizing this massive need, we at MJBI decided to make a concerted investment to change this. Starting last October, we began translating our online School of Messianic Theology program into Spanish. By the grace of God, a wonderful couple came forth and donated the funds needed to cover this expensive, time-consuming, 18-month project. We also began translating our MJBI.org website into Spanish around the same time. The vision of MJBI has always been to see the Jewish people place their faith in Yeshua as the Messiah of Israel, knowing that this will lead to a Biblical revival of salvation for all peoples of the earth (Romans 11:15). Because we are motivated by this Holy Spirit-given mission, we find the Lord often sends us to the widest corners of the earth to share Yeshua with the scattered Jewish populations, and train leaders to further this great restoration movement. When we pioneered Messianic ministry with Jewish Voice in Africa in 2008, there were little to no known Messianic congregations on the continent. Today, there are nearly 90. Almost each of them are led by an MJBI graduate. Our vision for Latin America is similar. We feel greatly inspired by the Holy Spirit to bring sound education on the importance of the Jewish people and Israel, as well as training for leaders called to reach the Jewish people with the hope and love of the Messiah. Because of your generous partnership with us, we will together see the restoration of the Jewish people to their Messiah, Yeshua, all over the world. This opportunity to bring our SMT program to the Spanish-speaking communities of Latin America is one that I am beyond excited about. We are truly making history, as we see yet another scattered Jewish community reached and equipped to see the fulfillment of Romans 11:26!